I did not remember, until I got in and the vehicle started to roll really slowly down the road – why I generally despised black cabs. It was something I must have tucked away in the past, because I could feel it uncurling slowly; in the hollow part of my stomach first and then climb its way carefully through my internals all the way up to my throat. Why the *bleep* were black cab drivers so deliberate in running the meter off to Timbuktu for even the shortest of journeys?!! On this day, I was rushing to Gatwick Airport to catch a flight to Malaga, Spain and, thanks to the reliability of British weather, the sun shone for a minute and for the sake of equality and fairness, the rain poured furiously immediately after. So it was that between waiting for my laundry from the hotel where I was lodged, calling and then cancelling a mini cab ride to the airport, and flicking my Gatwick express ticket between my fingers, that the decision from El Stupido Ville hit me to take a black cab to the airport. It must have been the rain and accompanying noises – from the lobby, reception, umbrellas – now unfolding then folding, people running madly down the street – clothes, hair, newspapers soaking wet in half a minute and umbrellas bent backwards in a losing battle with the whirling winds – that led me to such a ridiculous decision on the spur of the moment – getting soaking wet, suitcases and all, was not something I was ready to do. Terrible decision (everyone knew that except me, heh!). I keep saying how people should never make a life changing decision when there are so many distractions and there I was, doing the same thing. In fact, my decision and my situation did not even match: who puts the word “rushing” and “black cab” in the same sentence?? (Me! That’s who). What with all the positive thinking classes, Pentecostal preaching, motivational business speeches and Obama’s “Yes, We Can!” campaign… this tool could only come up with a “When” and a smile?! Heck, even tooth paste adverts nowadays leave you thinking that you could resolve all your confidence issues and achieve absolutely anything if you just brushed your teeth! It was at that point that I realised that I was in trouble…and remembered simultaneously why I had stopped taking black cabs, years ago! The sinking feeling and rising bile maintained the growth spurt they seemed to have received as every other vehicle on the road passed my cab. The cab driver was very careful to stop waaaay before a red light even threatened to flicker; very sure not to exceed a self-set 40 km/per hour speed limit on a 75 km/per hour high way; very certain that the 80 year old lady that drove swiftly past us was breaking all the high way laws and would soon get into trouble with the Police – I should be rest assured of that fact. Anyway, having threatened to alight from his Snail Mobile a few times and making him understand that he was responsible for every bad thing that could happen to human beings driven by him (okay, I didn’t really say it, but I thought it – same difference), we finally got to the airport alarmingly late and I was slammed with a £100 bill. In annoyance I told the guy that I did not have his money and would need to go to the bank to retrieve cash. He slowed down every 10 seconds to ask me if I was sure he would get his money; he needed to know for certain that I could pay; did I have it or not, otherwise he would have to deal with things his own way…”Get me to the AIRPORT DAMMIT! !”, what part of ‘provide the service’ did this guy miss in cab driving classes?! Quite honestly, I think the man may have had a few things missing in his thought faculties; he did not seem to be able to take decisive actions on the road; not sure which lane to stay on, where or when to speed up/slow down, which route to take…it was an endless dribble of uncertainties; at one point, I actually started to feel sorry for him, but sorrier for his wife/girlfriend, kids, mother, friends – people who had to actually live with this guy. In the end, the guy locked my suitcases in his cab and insisted that I pay him in full (apparently he kept the meter running while he was parked at the airport, waiting for me to go to the bank and the bill was now £101.80p…he would get every last penny or would not release my luggage). Oh, did I mention that he said I must put the money in his hands and not on the dash board or the car seat? By this time, I had reached my tether. I spread the money out in the palm of my hands – “Look at the money! It is ONE HUNDRED POUNDS. I will not pay one penny more and you will not use this money for anything good, because you are acting out of line.” I refused to give him the money and insisted that he open the doors so I could get my luggage. He finally opened the doors and I flung the money across the dash board, got my luggage out and walked off. He was shouting behind me to “Close the door !! !”, when I turned around and calmly told him that I only had two hands and would not be shutting doors with my teeth. He came down from his lazy drivers’ seat, uttered some profanities that I would not bother to repeat and slammed his door shut, irritated that he had to get out of the cab at all. So it happened that I missed my flight by 5 minutes. It must have been the five minutes the idiot spent haggling for £1.80p and me refusing to give in to him. I paid, instead, for the change of flight fees. My burden lifted when I went to book a hotel room for the night within the airport and met the sweetest guy at the counter. When he saw that I was close to tears from anger and frustration, he asked what had happened and as I related my ordeal, I could see him get red with anger. “If that happened to my girlfriend, heads will roll…we don’t play like that where I am from!! How dare he? Some of these cab guys are so stupid, they really take the p…something like that had happened to me before…” and he proceeded to tell me his own ordeal – it was comforting to share, (misery loves company and such). 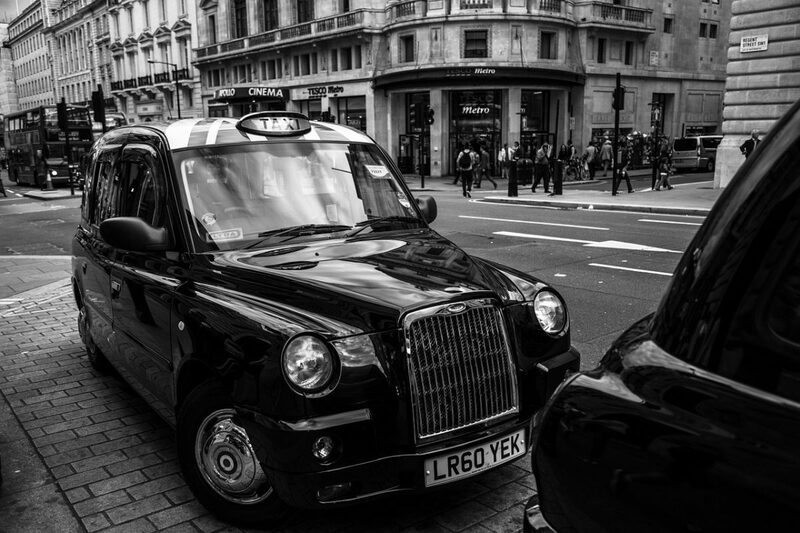 Apparently, many people were having issues with the attitude of many black cab drivers and the taxi commission was already burdened with complaints. Thiliha (yes, I asked HIS name), swung into action…called the guy up and gave him a talking to; the cab driver was still giving attitude, so Thiliha called the commission and relayed my ordeal. The representative he spoke with said it would have been really ideal if I had gotten the cab number, as it was, they would not be able to trace the guy properly with only his mobile number (which could change at any time), but I that could call the commission everyday and just insist on justice; then they would be compelled to do something about it. Just watching Thiliha take up my cause and insist that women should not be treated that way, warmed my heart. I laughed for the first time that evening, leaned over to him and planted a fat one on his cheek and thanked him profusely for trying. He was slightly embarrassed but smiled and said it was okay; he just didn’t think I needed to have gone through that stress and incurred costs on my flights and hotel – it was clear to him that the cab driver was just being an idiot. It was nice to have a man in charge at that point and even though I knew he couldn’t do anything further I was grateful to feel better and see that things were not so bad after all. Thiliha got me the best deal on a hotel for the night and wished me a safe journey to Malaga for the next morning. He also gave me the phone number of the commission and said I should try to seek the guy out. I walked away knowing that I may never see him again, but was glad that there are people out there who would put a word in, simply because it is the right thing to do. The day ended well – bile and anger subsided, but my resolve was re-established – there is something wrong with black cab drivers and I would not be using them again – at least not in a long while. Now, if you are so inclined, how about you give the cab driver a call and just say a few words to him? You could not have missed the number in reading this could you?